Rohen sells, services, installs and maintains fire extinguishers and fire hoses for Greater Toronto Area businesses. Fire codes in the Toronto area dictate specific mandatory maintenance for your fire safety equipment, including extinguishers. Rohen can relieve you of a recurring administrative task by ensuring that your fire equipment undergoes all necessary maintenance and inspection timely and compliant with applicable codes. Customized fire extinguisher & servicing packages. Monthly, quarterly, semi-annual and annual inspections. Recharging, repairs, testing & replacement of fire extinguishers. For facility and property management professionals, outsourcing your fire extinguisher maintenance can simplify your "to-do" list and increase your compliance. 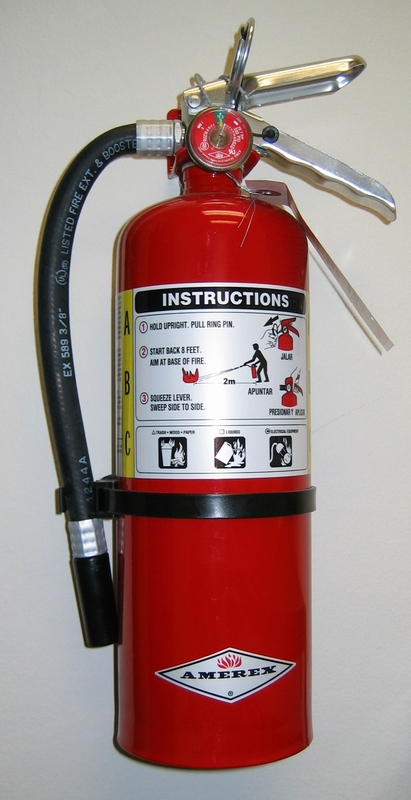 Read more about fire extinguisher selection and maintenance in the workplace on our blog here.